Specialized products and services can improve older patients’ quality of life. The trick lies in knowing when to recommend them. Technology is always pushing the limits of possibility. Most of us can remember a time when devices such as laptops or smartphones seemed like science fiction. Now they’re ubiquitous. For older adults, technology offers possibilities that make living at home safer or simpler, and physicians are evaluating and recommending such products and services to their patients. Although various technologies hold significant potential for many aging patients, they aren’t for everyone. But Granieri, like many others, believes that for the right patient in the right circumstance, technology can be very beneficial. And nowadays there are more options than ever before. Technological products and services for older adults run the gamut in their capabilities and pricing. Many of them can help practitioners in their efforts to overcome treatment barriers that elders may encounter. For example, getting older patients to successfully participate in physical therapy can sometimes pose a challenge, but it’s one that virtual rehab looks to solve. Another common struggle for older patients is remembering to take medications. In fact, a new study conducted on behalf of Medco Health Solutions, Inc found that 57% of older adults admit they forget to take their medications, while 23% admit to neglecting to fill a prescription on time. And with the rising number of medications each individual may be taking, it’s a growing problem. But it’s one that today’s technology can successfully address. The GreatCall Medication Reminder service allows patients to establish their medication regimen by connecting with a GreatCall customer service representative and setting up a service call. The call not only works as a reminder but also helps chart the patient’s compliance. During each call the patient is asked whether he or she has taken the prescribed medications, and the responses are recorded and tracked for compliance. A user can then log on to the company’s website to access a chart detailing adherence to each medication. The service includes up to 16 medication reminders per day as well as prescription refill reminders. Factora says he also discusses some sort of emergency response or life alert system with his patients. Such systems offer easy ways for patients to access emergency services at the touch of a button. But Factora says even this simple technology isn’t for everyone. For example, a patient has to be awake and alert because it is a manual technology. These types of technologies, such as the SimplyHome system from CMI, allow caregivers to track a patient online. For instance, with SimplyHome, if a caregiver is concerned a loved one may forget to turn off the stove or the lights, the use of the stove and lights can be monitored online and can even be turned off remotely by the caregiver using the Web program. It’s just one of many scenarios where technology allows a patient to have some independence while still being safely monitored. The primary idea behind many of these technologies is to make living at home safer and easier for older patients. After all, while a long term care setting may ensure patients stick to their prescribed medications or regimens, for many it also affects their quality of life—and may put them at a higher risk for contracting diseases or infections. When possible, patients prefer to be at home. That’s one reason remote monitoring devices have become a popular technological solution. Remote medical devices track and transmit patient data to a centralized location via the Internet or phone lines, allowing a patient to remain at home yet be monitored by his or her physician. For example, glucometers can help diabetic patients record their glucose levels and then transmit the data directly to the physician. A remote-monitored implanted pacemaker can transmit heart data to a patient’s cardiologist. And even scales can be used to help track weight fluctuations in congestive heart failure patients. Such devices are designed ideally to keep more patients from long-term stays in the hospital. A survey conducted by GfK Roper for Practice Fusion, a Web-based electronic health record company, found that 62% of respondents felt communicating with their doctors using a home medical device would improve their health. Factora agrees that in the posthospitalization period where the potential for relapse is the greatest, it can be particularly helpful for a patient to be remotely monitored by the physician. “You can deliver care in a lower-cost fashion than going to a rehab facility,” he explains. “A lot of people would prefer to go home, and there are drives to reduce the length of stay in a hospital. But you also don’t want the person to require rehospitalization. With remote monitoring, care can still be delivered,” he says. The use of telemedicine seems likely to be part of the future of medicine. While there are still barriers to its adoption, usage continues to spread. Medical circumstances where time is of the essence or situations where patients are not easily transferable are instances in which telemedicine can be highly beneficial. In Wisconsin, the UW Health Comprehensive Stroke Program is helping save the lives of stroke victims using telemedicine technology. With brain cells being lost at the rate of 1.9 million neurons per minute when a stroke cuts off blood flow, it’s a circumstance in which patients need immediate treatment. The UW Health Comprehensive Stroke Program uses a video system to connect UW stroke neurologists directly to a patient. A physician can view a CT scan and directly communicate a treatment plan recommendation to the emergency department physicians and nurses so care is immediately given. Everyone in the room can see and hear the stroke neurologist. The technology allows for an expert neurologist to work on the patient’s case—even if the hospital to which a patient is admitted to has no neurology specialists on staff. “You may lose a little something by not actually being there in person, but considering the alternative is that the patient has no access to a neurology expert at all, it’s obviously the best possible outcome,” says Justin Sattin, MD, an assistant professor in the neurology department and medical director of the UW Health Comprehensive Stroke Program. 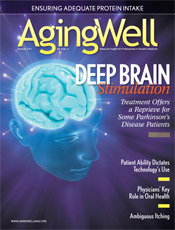 Sattin hopes that more physicians will remember that in stroke cases “time is brain.” He says, “There are treatments for acute, principally tPA [tissue plasminogen activator] within the new 4.5-hour window, but also including endovascular treatments and hemicraniectomy.” The problem is the shortage of specialists. Fortunately, it’s something telemedicine can solve. “Telemedicine can help address the shortage of vascular neurologists by bringing the expertise of a tertiary care center into local communities,” Sattin says.